Florence to me is such a beautiful city. She has a marvelous and striking appearance – her natural beauty is apparent in the morning, but after putting on her “makeup” at night, she becomes radiant. Notable famous people who were born in Florence included Michelangelo and Leonardo da Vinci. 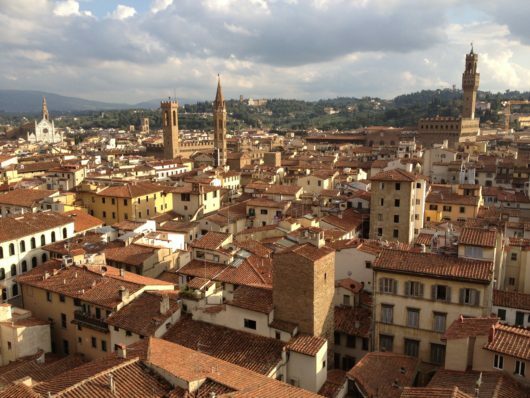 Things you have to visit include the Uffizi Gallery, Galleria dell’Accademia and the Florence Cathedral.